Delicious blend of mild and sweet. Make fresh sausage from your wild game harvest, right at home. All you need is included here. 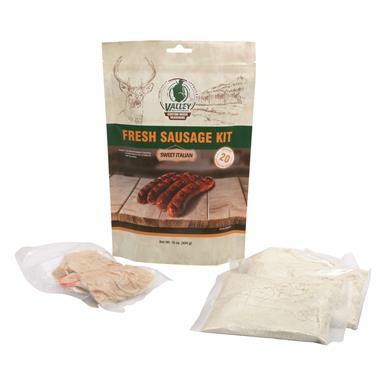 Each Kit contains enough seasoning to flavor up to 20 lbs. of meat. Know exactly what goes into the final product, and get results that taste as good or better than the stuff at the store.